Quiet a large exterior painting job in Boston. It had not been painted for over eight years, so it was in bad condition. I spent the first day and a half cleaning down. 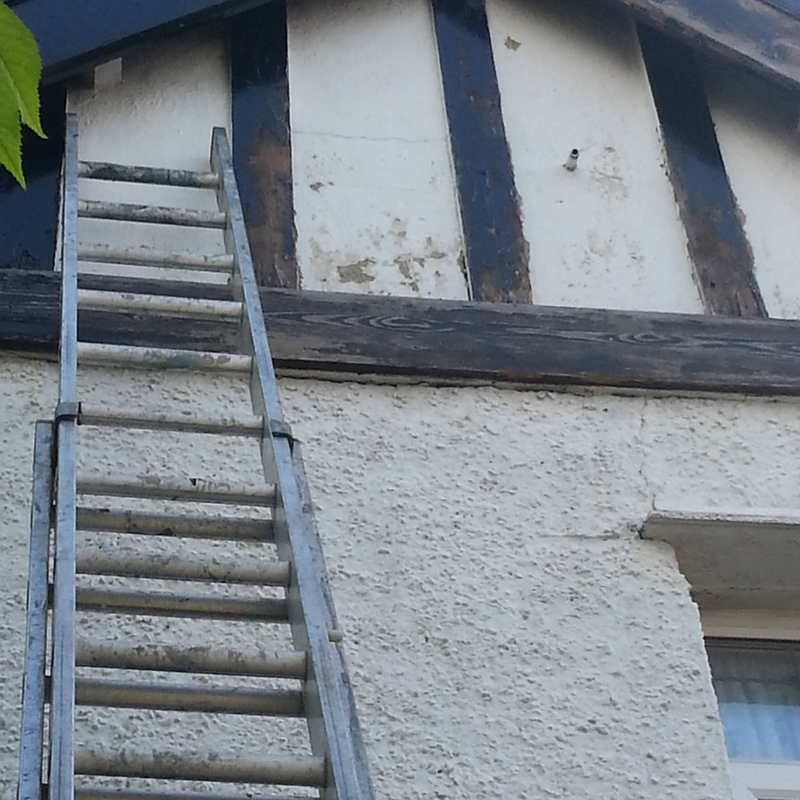 Surprisingly I only found one small piece of rotten wood, I repaired this using Tetrion wood filler. 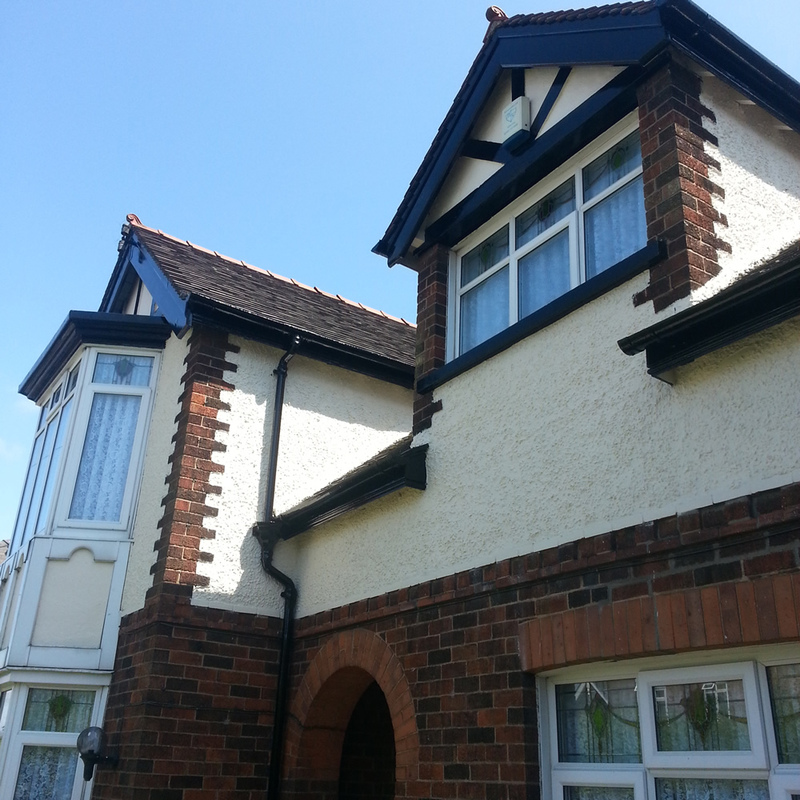 The pebble dashed walls where coated with two coats of magnolia Sandtex. 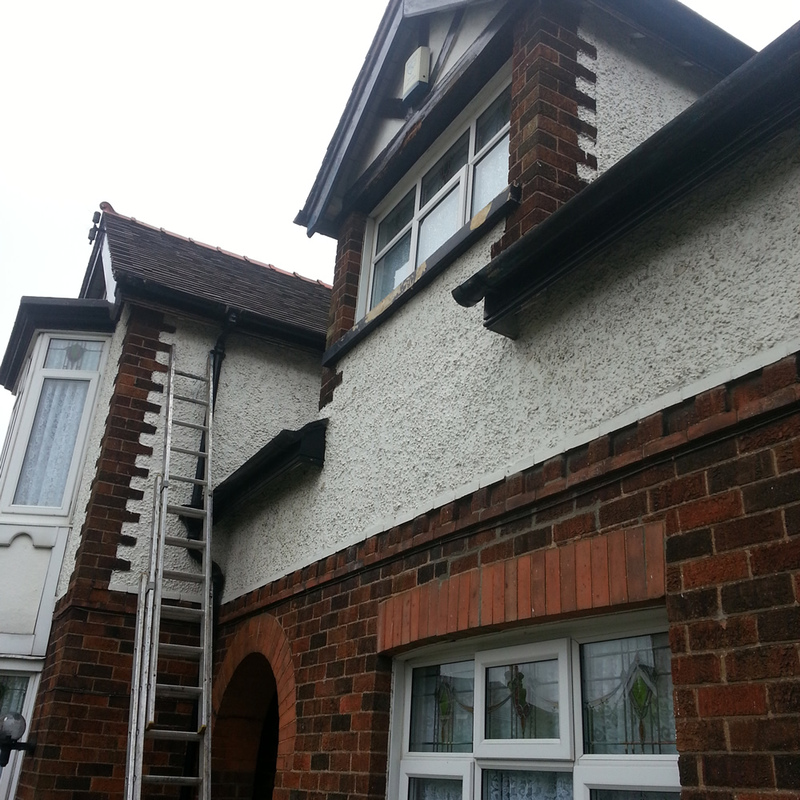 The woodwork and sills where spot primed, undercoated and finished with black gloss. 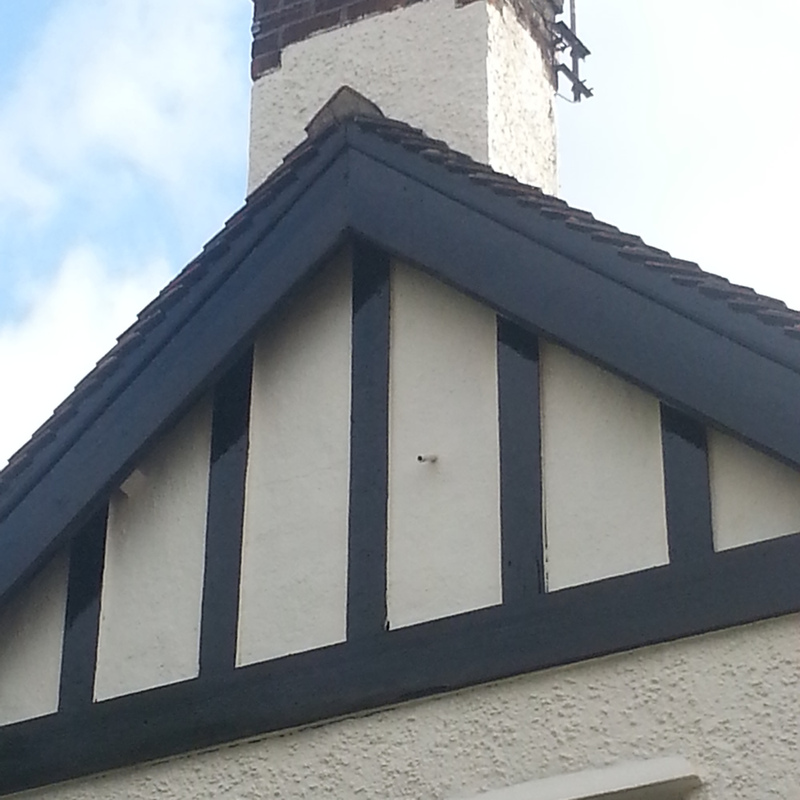 The chimneys where a pleasure to do…. The finished results are good.